Many Americans suffer from high blood pressure (also referred to as “hypertension”). Hypertension is a huge risk factor for heart disease and stroke as well as other dangerous health problems. This means if you have high blood pressure, you need to treat it. Fortunately, there are ways of treating high blood pressure at home. 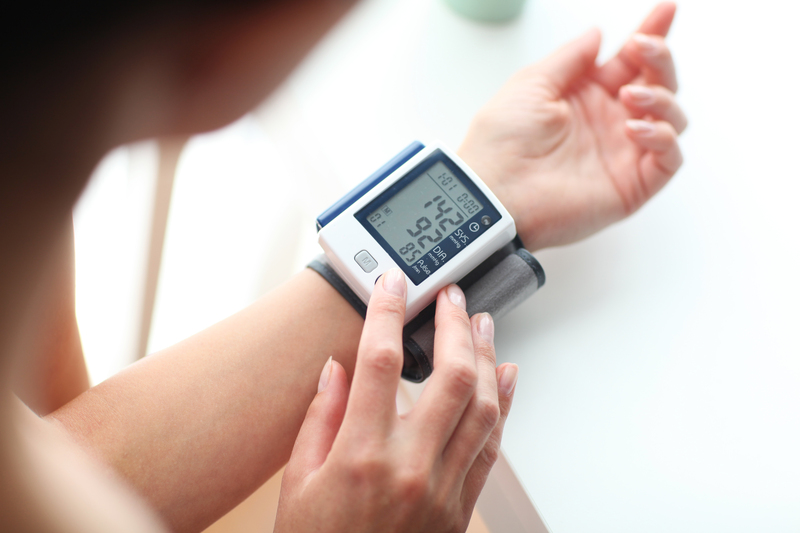 A study was performed in which patients with hypertension were given at-home BP (blood pressure) measuring devices. When they measured their blood pressure, the Bluetooth-enabled device would transmit the information automatically into their electronic medical records. The medications these patients were prescribed were then adjusted on a biweekly interval, based on their weekly average blood pressure. Out of all of the participants, 81% of those enrolled and 91 percent of those that regularly measured their blood pressure at home reached their blood pressure goals within an average of seven weeks. The study showed patients with high blood pressure can potentially be treated more effectively as long as they regularly measure their own blood pressure while at home. Of course, in addition to taking their prescribed medications, there are other steps needed to lower and maintain a healthy blood pressure. The following are a few tips for reducing your blood pressure and maintaining healthy blood pressure. They can also make treating high blood pressure at home more effective. Eat healthy – High cholesterol levels result in high blood pressure, so make sure you eat good foods and lower bad fats. Reduce the sodium in your diet as well. Exercise – Even if you aren’t overweight, exercising can help lower your blood pressure. Lose weight – Blood pressure tends to increase as weight increases. If you’re overweight, you need to lose weight by eating healthier and exercising regularly. Manage stress – Stress leads to high blood pressure. Reduce unhealthy activities – Quit smoking and limit how much alcohol you drink. High blood pressure is something you can treat at home. For more health tips, be sure to visit us at The Benefits Store today.